I didn't do a rewind last month. 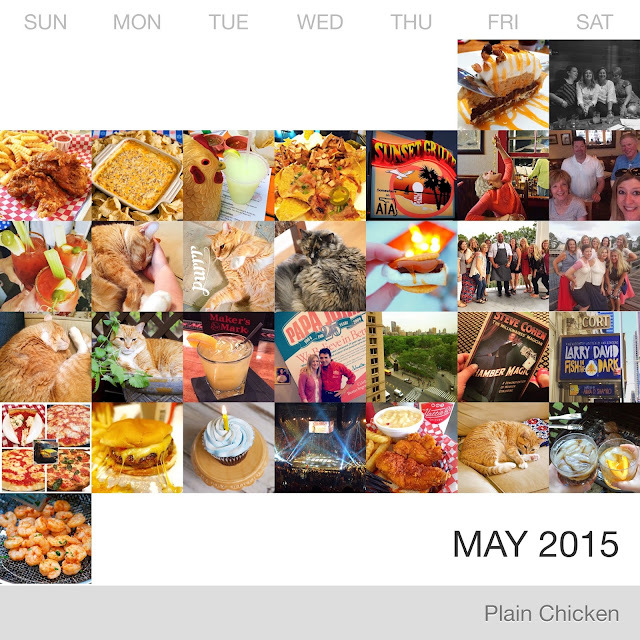 I had so much going in May that I just jumped right in telling you all about it. We went to St. Augustine, Destin, Papa John's Pizza Headquarters, New York City and Nashville. I was barely home all month! 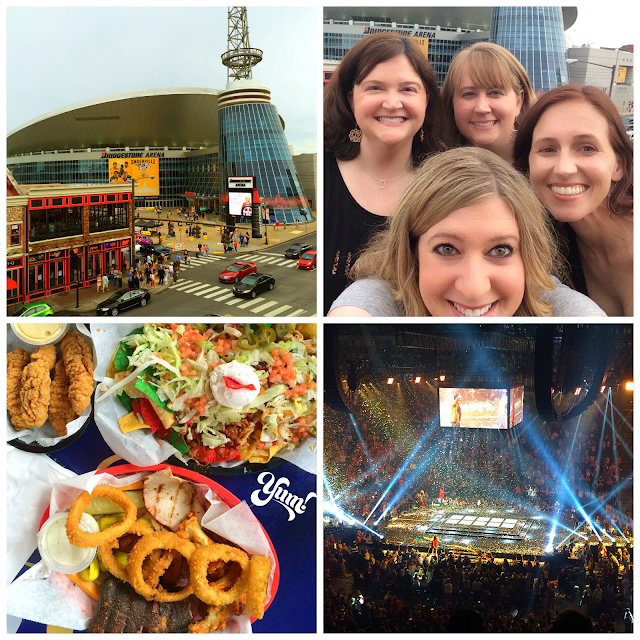 I didn't blog about Nashville yet. That will be coming up in July. I was there for the New Kids on the Block concert! It was awesome!!! I went with some fabulous girl friends. We had a blast!!! NKOTB put on a fantastic show. They've still got it after all these years! June was SO much calmer. We went Atlanta a couple of times. We ate the most amazing pizza ever at Antico. Seriously the best I've ever had. I'll tell you all about it in July. We've started doing a little updating on our house. We are getting a new tile floor in our bathroom next week. I picked out some of the wood looking tile. Fingers crossed it looks good! We also got a new oven in our kitchen. Our friends at AllSouth Appliances gave us a great deal on a GE Advantium Over the Range Oven. I've been dying for one ever since we cooked with it at the Chattanooga Home Show earlier this year. 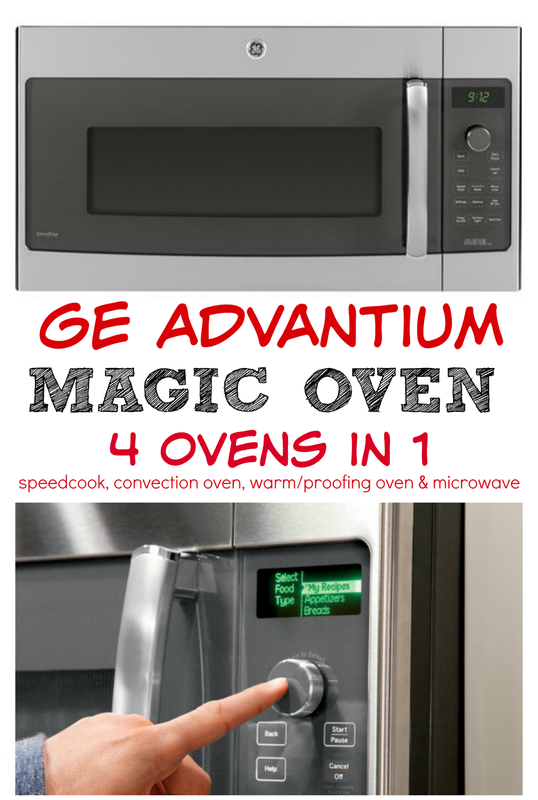 Have you heard about the GE Advantium Oven? It is MAGIC!! It is 4-ovens-in-1, combining speedcook, true European convection, warming/proofing and a microwave. It cooks up to 4X faster than a conventional oven. You can bake cookies, steaks, frozen snacks and microwave anything in the same oven! It is fantastic! It also toasts and broils food! Like I said, MAGIC oven! I've been using it non-stop since it was installed two weeks ago. I love using it over my regular oven. I especially love broiling in it. I like to make cheese toast. It is great to not have to heat up my regular oven and just use the Advantium. If you can't tell, I am loving the oven. It is really the only oven you need in your kitchen! It is puzzle game all related to the number 3. Chicken Legs is totally addicted! His high score is 3,378. He challenges everyone to beat it!! 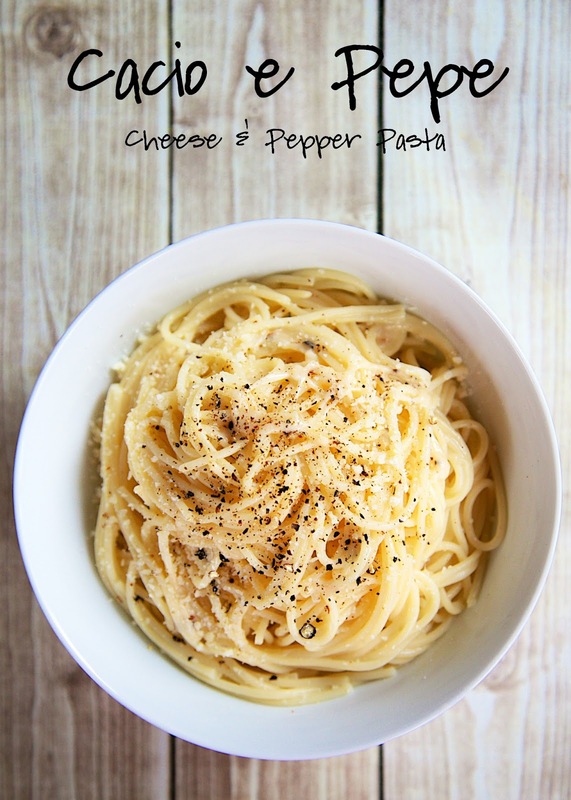 The most popular recipe last month was this Cacio e Pepe, a simple cheese and pepper pasta. I bought this Vera Bradley Weekender Travel Bag for all my trips in May. I was flying to Louisville for the Papa John's tour and was worried about getting delayed on the trip home. We were leaving for NYC the next morning. I didn't want to check my bag in case I needed to rent a car and drive home if I was delayed. Fortunately, there were no delays on the trip! I bought this bag and carried it on the plane. It was wonderful! It was easy to carry and fit perfectly under the seat in front of me on the plane. They have lots of pretty colors. I chose the new Marrakesh color. 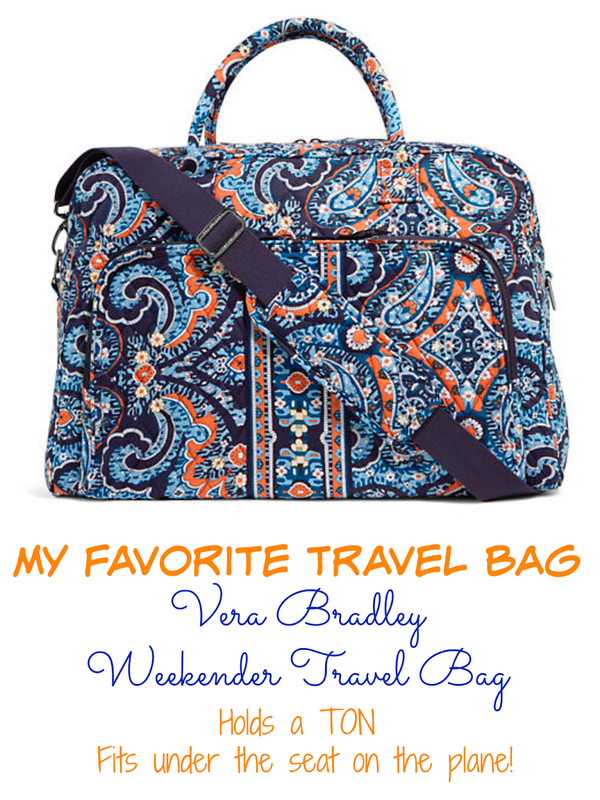 It is my new favorite travel bag. I've taken it everywhere since I bought it. It holds all my hair stuff, make up and enough clothes for at least two days. I even fit my laptop in it on a few trips. We are heading to Key West for a few days in July. We are going down after I speak at the Food and Wine Conference in Orlando. We are staying at the Ibis Bay Beach Resort. We can't wait to for the Sunset Celebration! I've heard the sunsets are AMAZING in Key West! 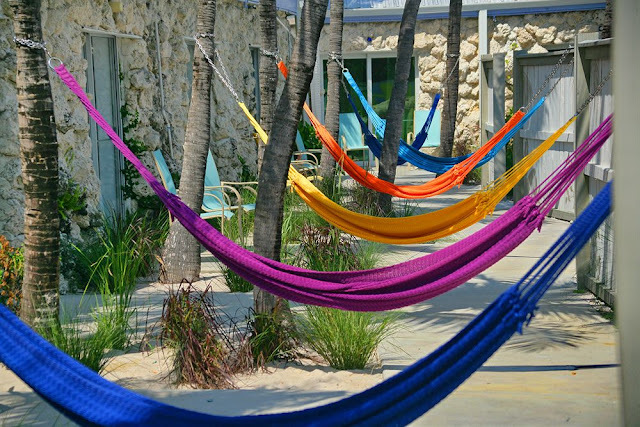 We are going to take a Trolley Tour (we have to get our picture made at the Southern Most Point), tour the Hemingway House (I totally want to steal an orange 6-toed cat), check out the Mel Fisher Maritime Museum, and go to the Key West Butterfly and Nature Conservatory. We need your help with restaurant suggestions!! 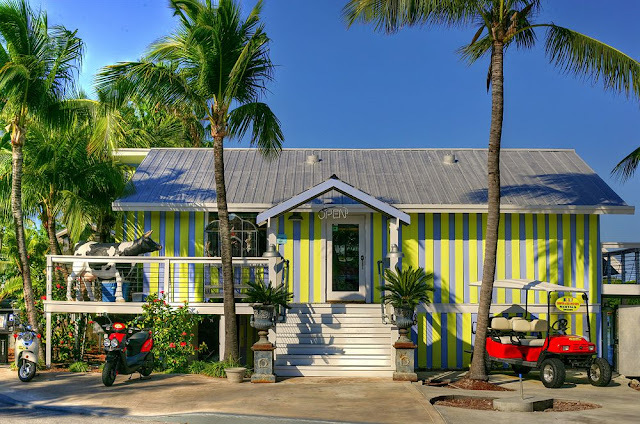 What is your favorite place to eat in Key West? ?